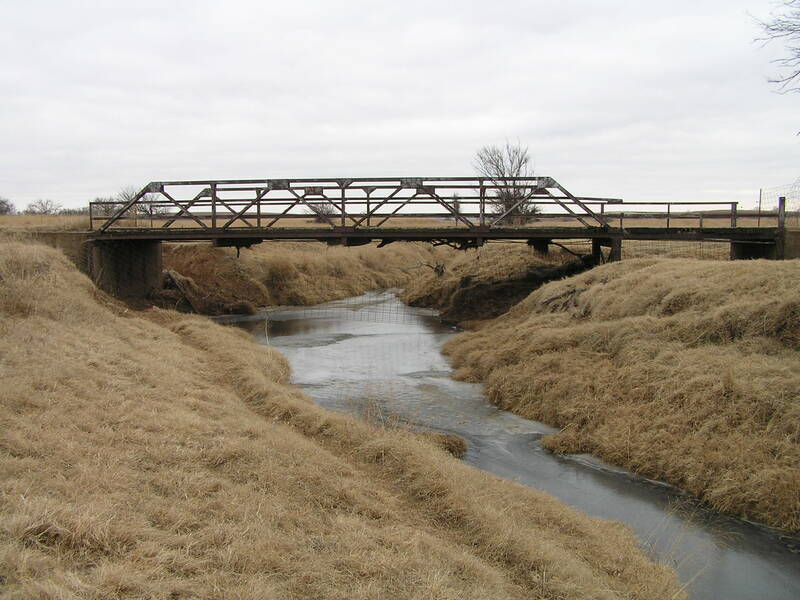 Unnamed Creek Bridge, Alfalfa County. 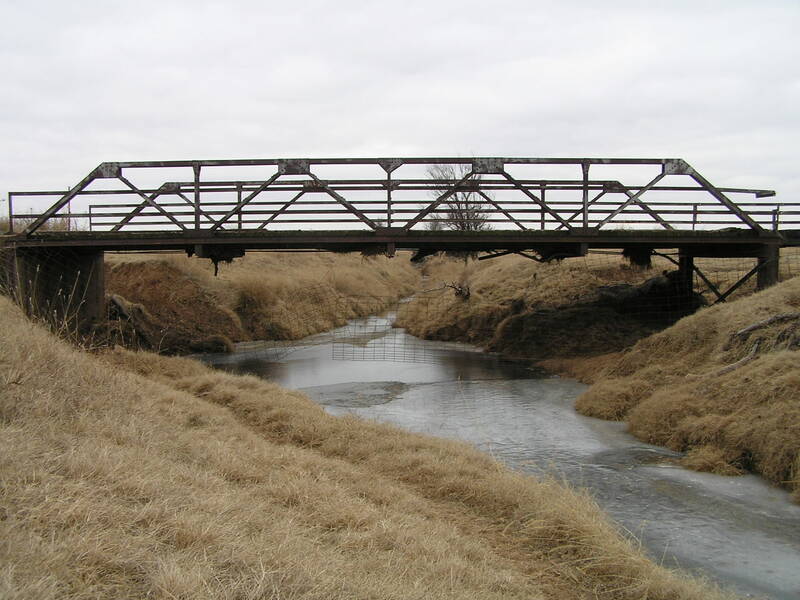 Built in 1915, this spidery Warren pony truss spans a small creek near Goltry. Above, a view looking west through the span. The road between sections has been closed, with a gate at the west end. Above, deck view of truss. 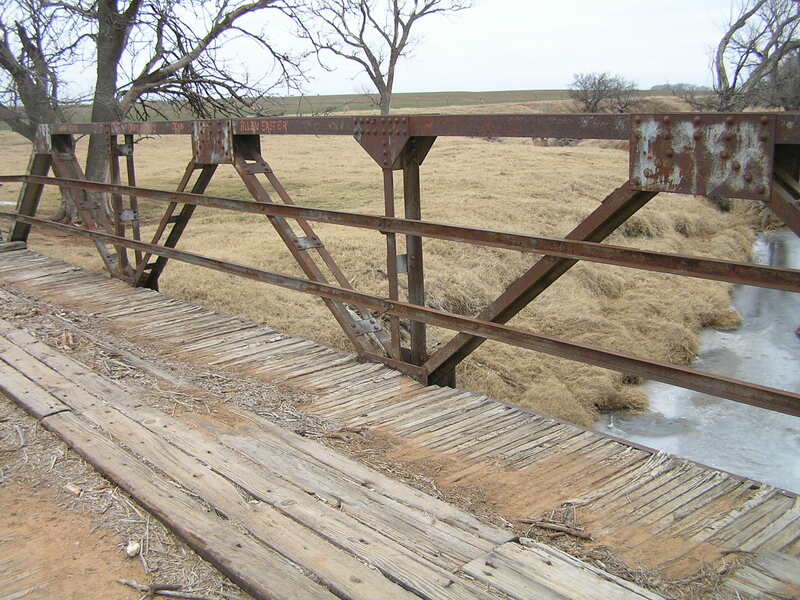 This bridge is very austere-no lacing. The upper chords are rolled I's. 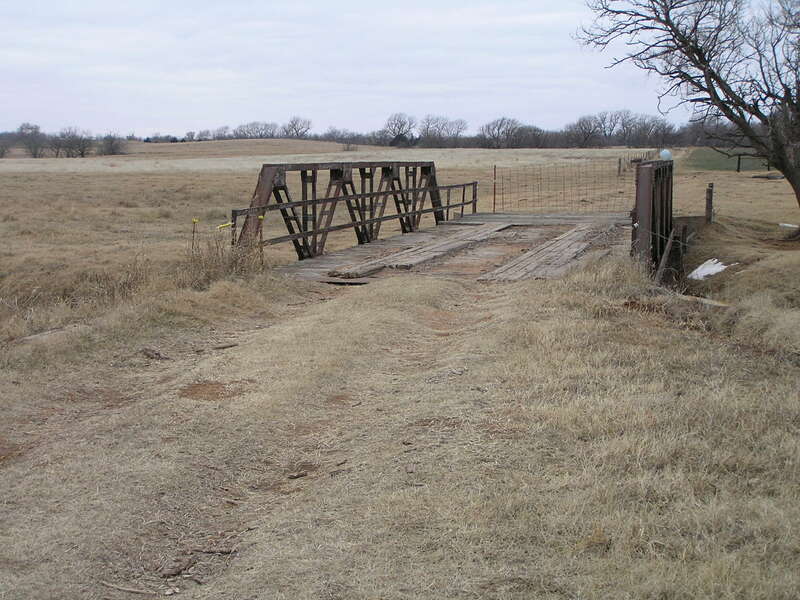 Below, close view of the truss. Above a side view of both the truss and steel stringer span. Note the concrete abutments, with concrete poured between the piles on the east (left) end. 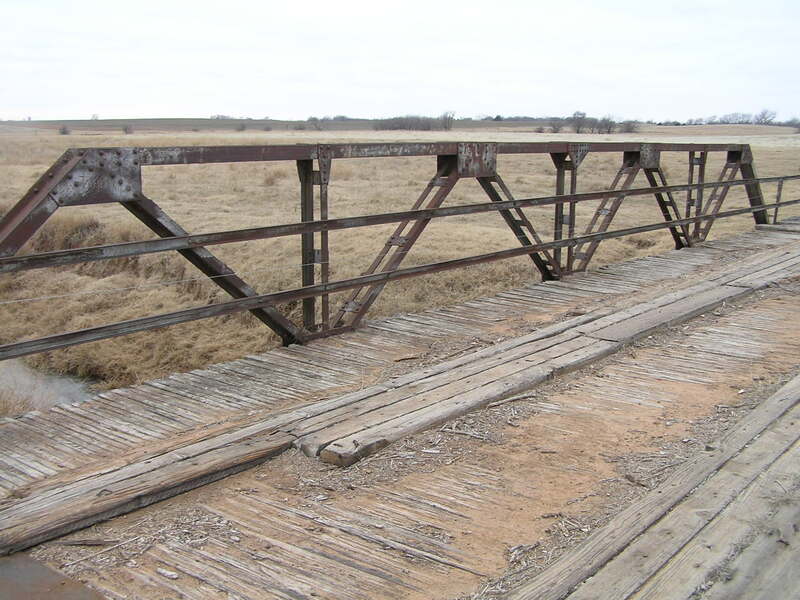 Toal length of both spans is 66 feet. 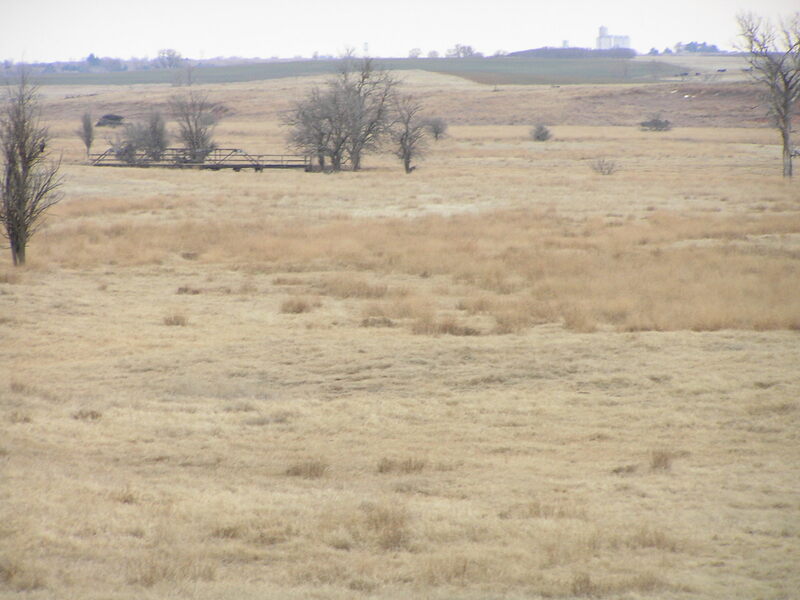 Below, this view should give you an idea of the bridge's surroundings.